This year celebrates the 50th anniversary of America’s National Trails System Act as well as the Wild and Scenic Rivers Act. National Trails Day invites people of all ages to discover the joys of hiking. With over 200,000 miles of trails to explore, there’s sure to be an adventure waiting for you! The American Hiking Society organizes events across the country to bring together hiking enthusiasts, introduce new hikers to this fun outdoor activity, and encourage people to become trail advocates and stewards of the land. To learn more about the day and fine an event near you, visit the American Hiking Society website. Tie Sing, born in Virginia City, Nevada, grew up during a time when “America was a tough place to be Chinese.” Most worked in restaurants or laundries and were paid less than white employees. Tie Sing had big plans, though. “He got a job cooking for mapmakers as they tramped through the mountains, naming peaks. With sky for his ceiling and sequoias for his walls, he stirred silky sauces, broiled succulent steaks, and tossed crisp salads.” He quickly became known as the best trail cook in California. Image copyright Rich Lo, 2016, text copyright Annette Bay Pimentel, 2016. Courtesy of Rich Lo at greatsketch.com. In 1915 Steven Mather was trying to convince politicians to create a national park system even though many business people were against it. Mather invited journalists, tycoons, congressmen, and others to go camping for ten days to show them the wonder of America. He knew that the trip had to be perfect, so he hired Tie Sing as his chef. Tie Sing planned gourmet menus for breakfast, lunch, and dinner that would satisfy the 30 campers. Each day he rose before dawn, cooked eggs and sizzling steaks, and packed box lunches. As the group hiked across beautiful scenery to the next site, Tie Sing and his assistant washed the dishes, put out the fires, packed the mules, and started the dinner’s sourdough bread. By the time Tie Sing arrived at the new campsite, it was time to begin cooking dinner. “He assembled sardine hors d’oeuvres, sliced juicy cantaloupe, and squeezed lemons to make tart-sweet lemonade. He grilled steaks and venison, fried fish and chicken, and baked sourdough rolls” as good as any fine restaurant. One morning Tie Sing was able to pack the mule early before he served breakfast. When he went back to the mule, however, he discovered it had wandered away—taking all of the best food with it. Steven Mather shrugged it off as he left for the day’s hike, but Tie Sing was upset. All of his planning was ruined. That night the dinner wasn’t as fancy, but it was delicious and topped off with “all-American apple pie.” The campers, happily satisfied, talked late into the night about the possibilities of a national park service. The next day, Tie Sing carefully led the mules along a narrow ridge. As the stones crumbled underneath their feet, one mule strayed too close to the edge. He tumbled backward and down the cliff. Bags, boxes, and food went flying. The mule got up and shook itself off, but much of the food, utensils, and equipment was lost. Three pages of back matter, complete with photographs of Steven Mather’s and Tie Sing’s actual 1915 trip, answer readers’ questions about Tie Sing, how he kept food fresh in the mountains, details of the trip, and short bios on the members of the mountain party. Annette Bay Pimentel’s fascinating and timely story of the establishment of the National Park Service highlights the contributions of a Chinese American dreamer who had big plans for himself and the country he loved. Her detailed storytelling enhanced by lyrical phrasing (a linen tablecloth is washed in an icy snowmelt stream and spread “brighter than white-water foam” over a table) reveals the marvel of Tie Sing’s art. Readers will be awed by the dedication and careful planning it took for the gourmet meals and elegant table settings to come together in such rough surroundings. As food and supplies are lost along the way, children will be held in suspense, wondering if Steven Mather’s and Tie Sing’s strategy worked. Rich Lo’s beautiful detailed and realistic watercolors transport readers to the mountains and trails of early 1900s California. With vivid imagery Lo lets children see the day-to-day preparations that went into Sing’s meals as well as the dangerous conditions he faced. Lo captures the hazy purple majesty of the mountain peaks, the glow of the campfire in the dark of night, and the vastness of the California environment. Kids may well wonder how Sing managed to create a five-star restaurant atmosphere and menu in the wild, and Lo shows them how it was accomplished. Mountain Chef gives a unique perspective on an important historical moment—one that still resonates today—and is a compelling book for any classroom as well as for kids interested in history, culinary arts, and the environment and for those who just love a good story. 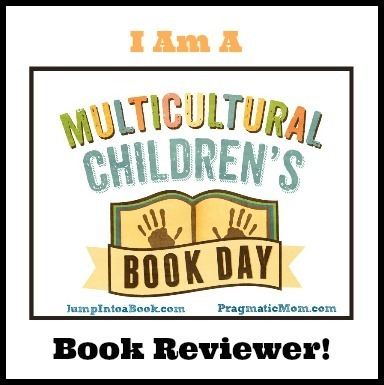 Discover more about Annette Bay Pimentel and her work as well as a Teacher’s Guide on her website! Learn more about Rich Lo and view a portfolio of his artwork on his website! These kids are having fun discovering nature along a beautiful hiking trail! Enjoy this printable We Love Hiking! 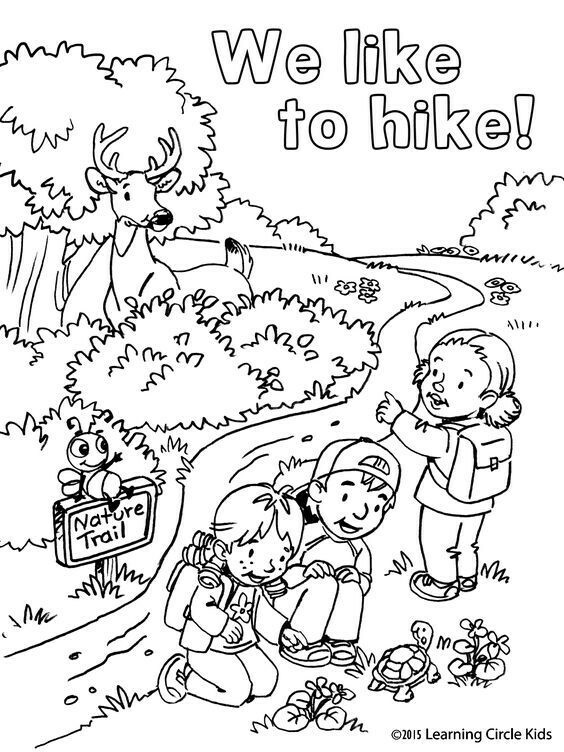 Coloring Page then get out on a trail yourself!